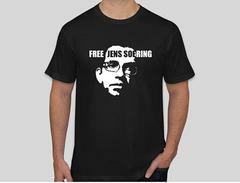 CHARLOTTESVILLE, Va (WVIR) - Jens Soering, the former University of Virginia student convicted of a double murder may be looking at some reprieve. Soering is now being represented by the same attorney who represented Robert Davis, the man freed from prison after being wrongfully convicted based on a false confession. In 1985, Soering was convicted of fatally stabbing Nancy and Derek Haysom, the parents of his then-girlfriend Elizabeth Haysom. The former German scholarship student is serving two life-term sentences for the murders, but has said his confession was false. Soering wrote to NBC29 from the Buckingham County Correctional Center soon after the Dateline NBC story highlighting the injustice toward Robert Davis aired. Davis was arrested in 2003 for the murders of Nola Charles and her 3-year-old son. After years of investigation, the governor's office determined that Davis had been wrongfully convicted based on a false confession. He was freed after serving about half of his 23 year sentence. Steven Rosenfield, the Charlottesville-based attorney who represents Davis, is now also representing Soering. Rosenfield says there are similarities between the two cases: "Well, his confession is another one of those unreliable confessions." The attorney could be seen standing behind Davis when he walked out of prison a free man back in December 2015. "I wouldn't be here if it weren't for this guy fighting for me," Davis said. Soering confessed and was found guilty of murdering the Bedford County couple. But, in a 2011 interview with NBC29, he says that confession was false. "The only person who's to blame here is me. I started this ball rolling when I decided to tell a lie," he said. "So, the intricate facts were just simply wrong," said Rosenfield. "He misidentified where the bodies were murdered and there is really no physical evidence tying him to the crime scene." 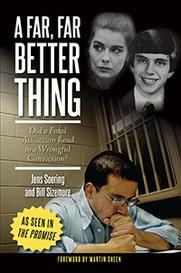 In 2010, then-Governor Tim Kaine said he would allow Soering to return to Germany to serve the rest of his sentence. However, that was rescinded once Bob McDonnell came in to the governor’s office. Rosenfield says they're entertaining several options at this point: "One is a clemency petition to the governor and the other is a possibility of parole. He's gotten up numerous times for parole and each time the basis for the denial is because of the serious nature of the crime." A third possibility is that Soering could be sent back to Germany under an international treaty - assuming the state of Virginia agrees. "You know, we have 10,000 American citizens in jails across the world, and those countries look to see what does America do with their natives held in prison," said Rosenfield. Rosenfield says that other countries are going to watch how the U.S. responds in this case because there may be Virginians in prisons abroad who want to come home just like Soering is hoping to do.